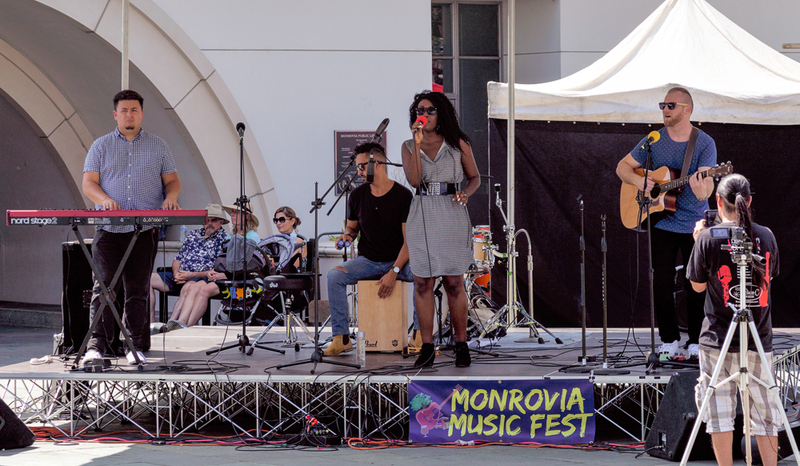 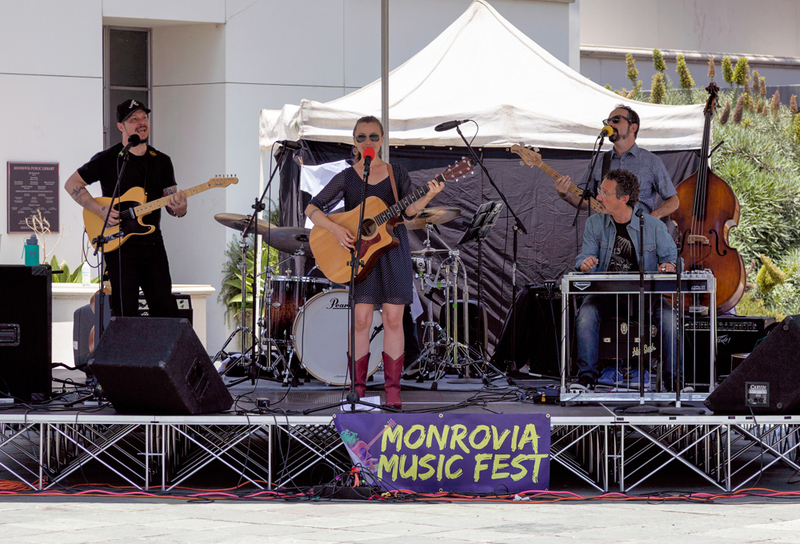 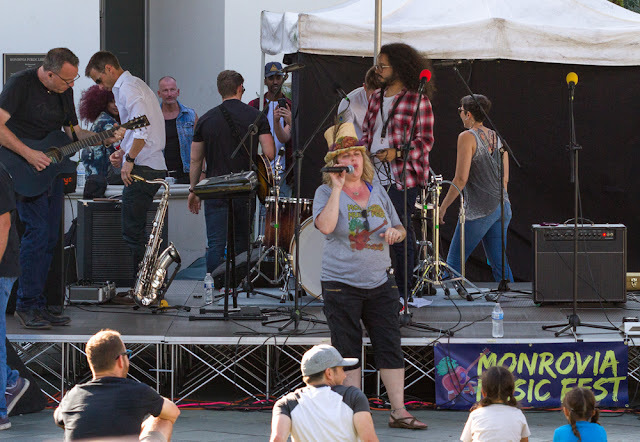 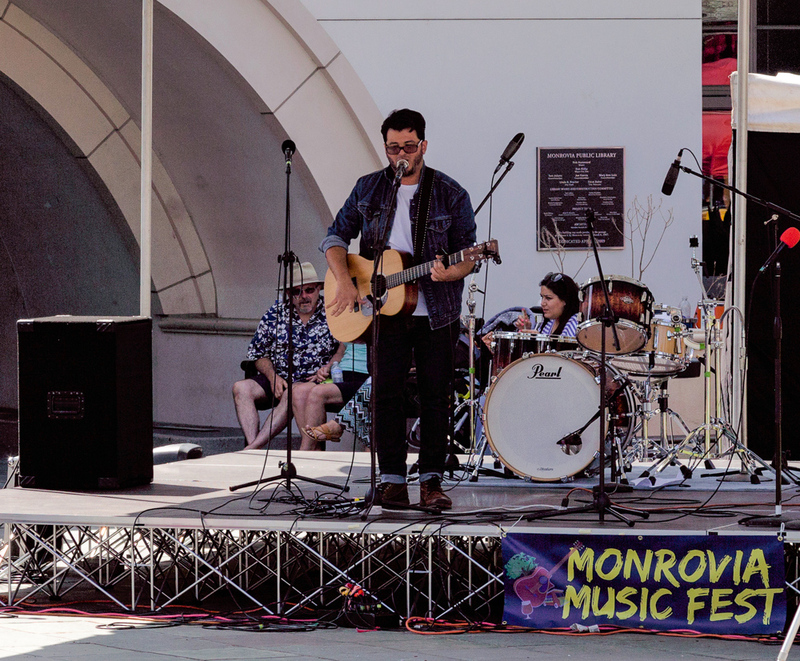 The 4th annual Monrovia Music Fest is in the books and it keeps getting bigger and better every year. 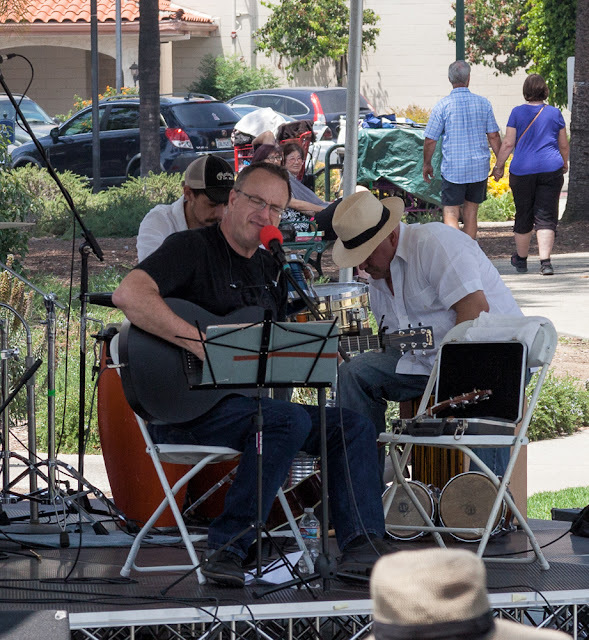 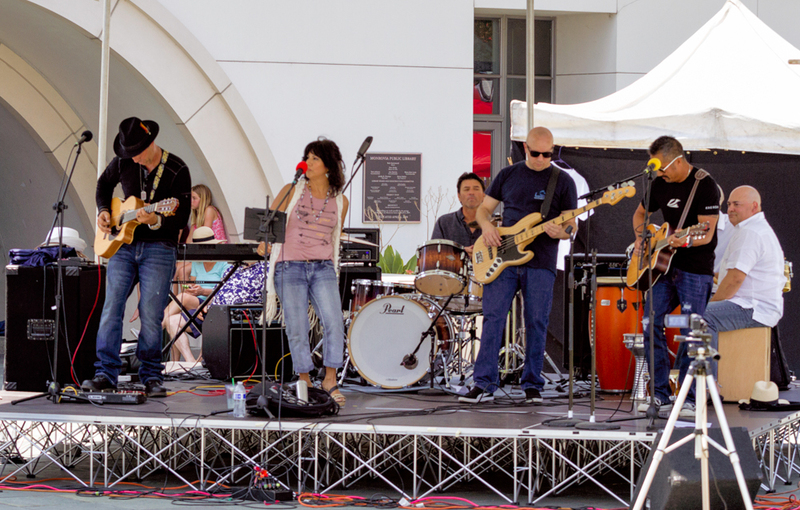 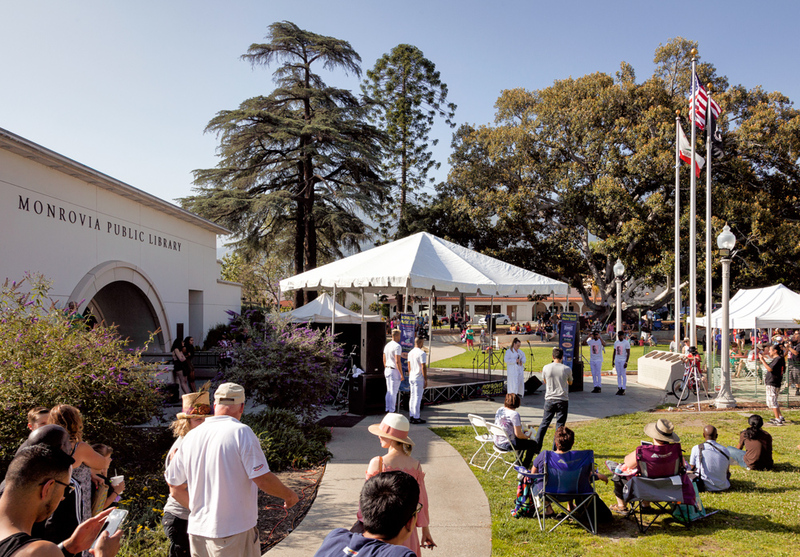 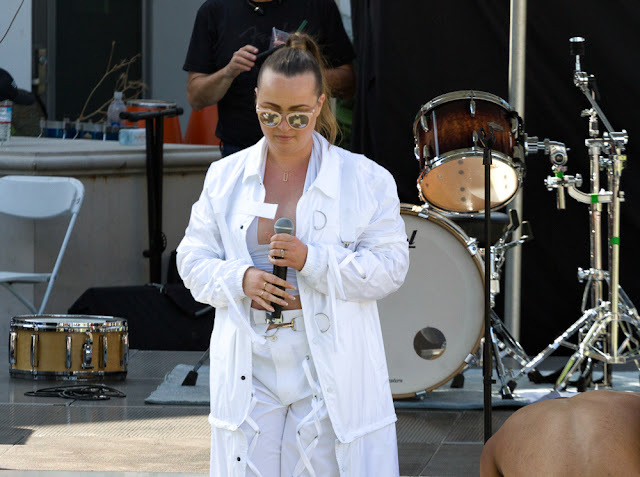 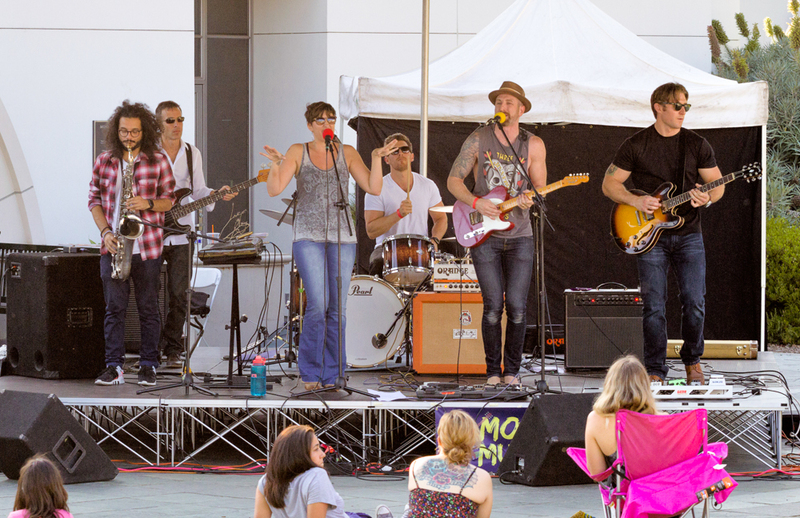 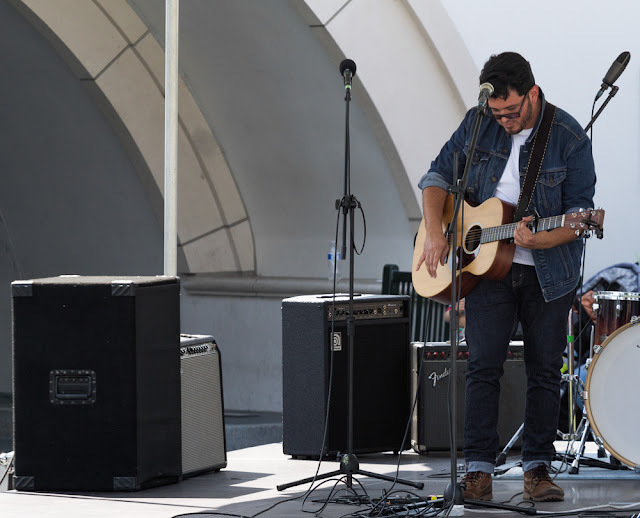 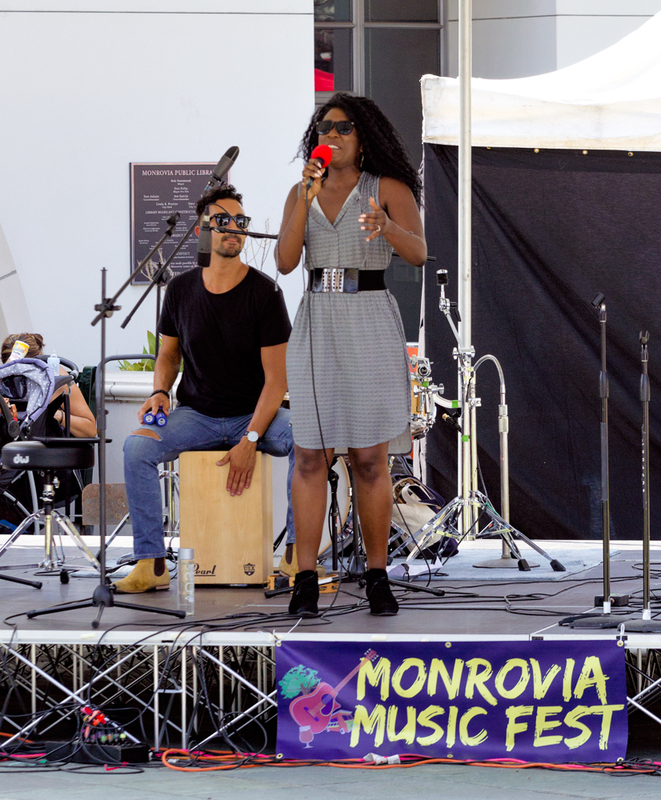 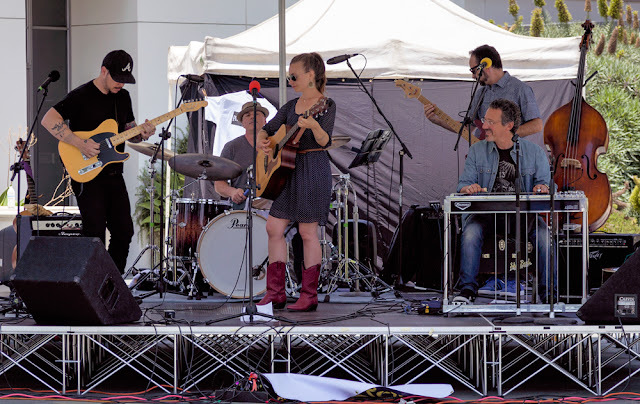 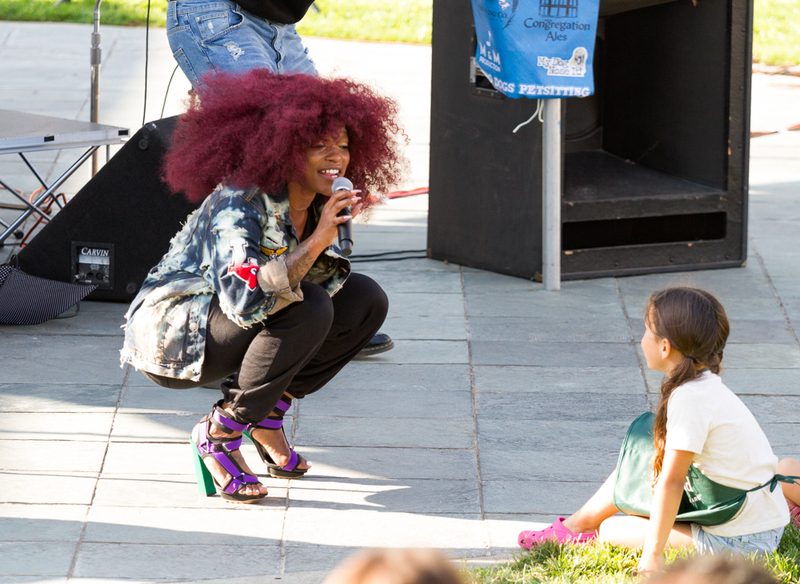 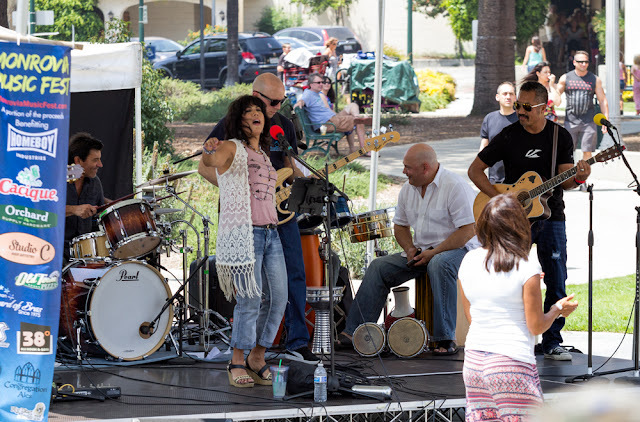 This year was 10 artists / bands over 7 hours on a warm, almost summer day in Monrovia's Library Park. 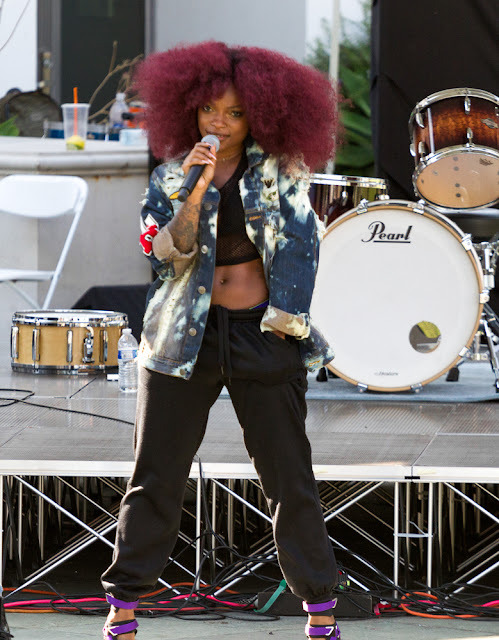 All killer, no filler. 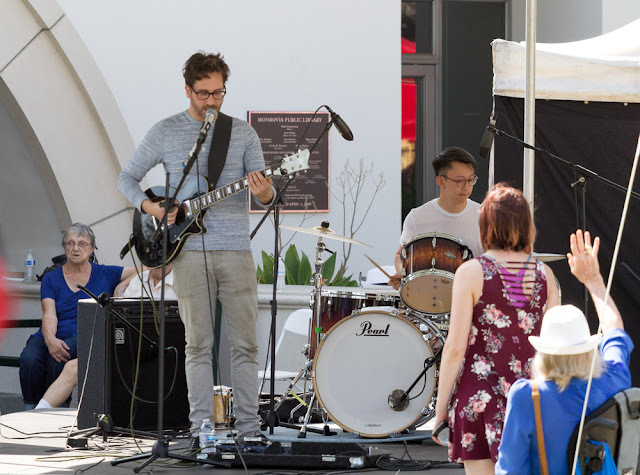 A couple of seemingly small changes were made this year that made a big difference towards enjoying the day. First: the stage was angled more toward the south side of the park where the grass and a large shady tree are located. You didn't have to choose between getting cooked or the music. Second: the tent cover over the stage was much higher this year so the tops of the performers heads weren't cut off. 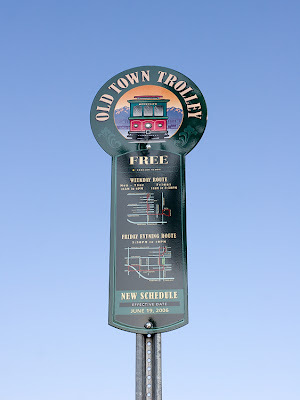 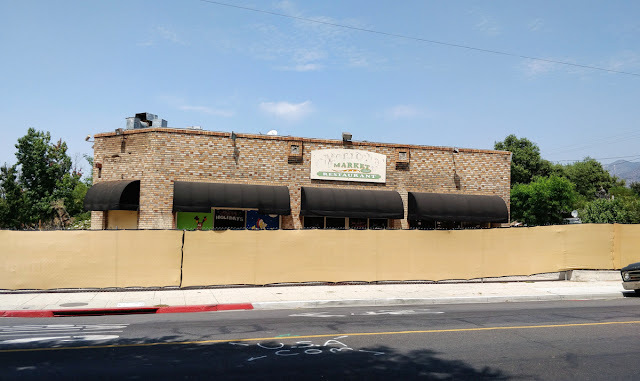 Nice to see they are taking notice and making improvements each year. 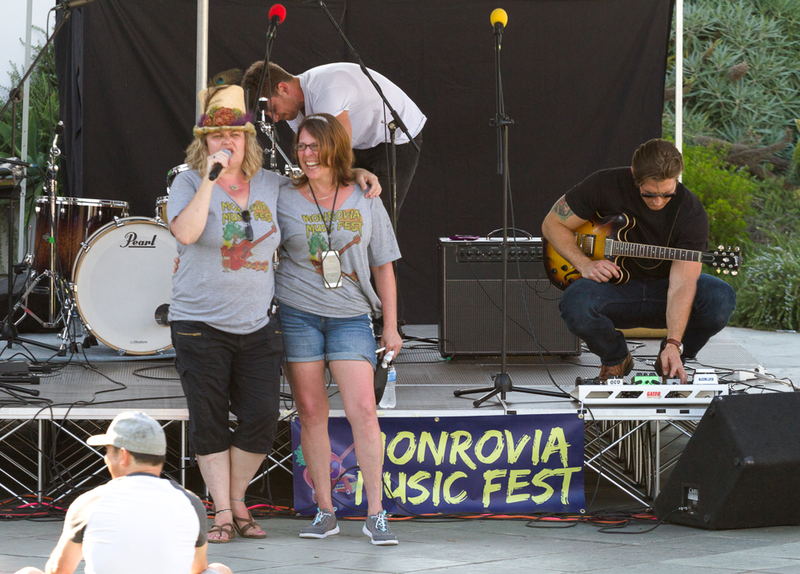 Creator of the Music Fest Carole Anne Kaufman and Co-Producer Clara Mayer. 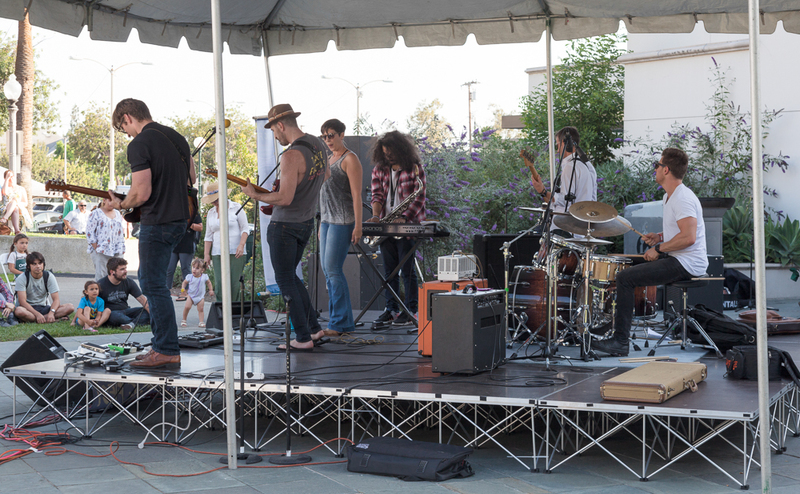 Few Miles South. 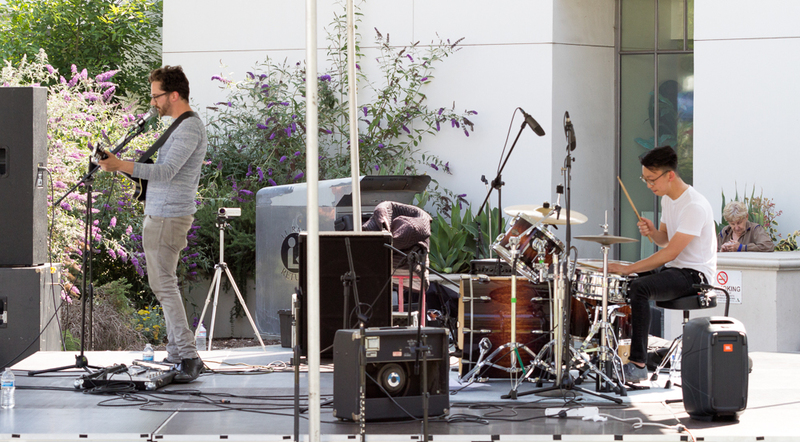 Had to get one with the drummer. Carole Anne Kaufman (The Whistling Diva) with guitar accompaniment from JC Covey.